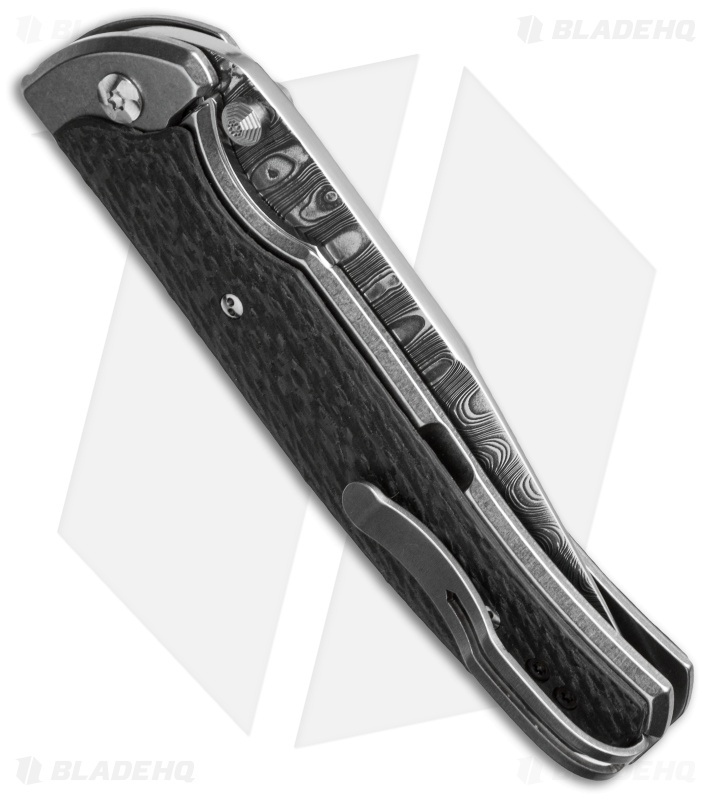 This custom Diskin dual-action automatic knife from Matt is a very stylish, well-made piece. 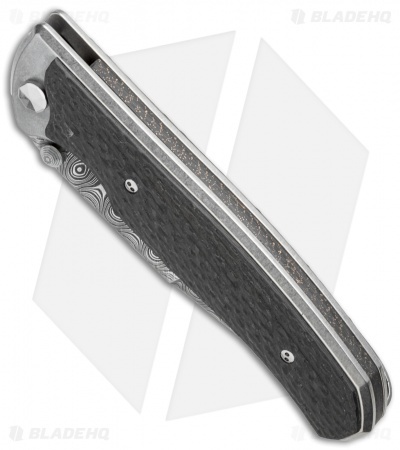 It has a tumbled titanium frame and lock tab (with steel insert). The handle is dressed up with carbon fiber scales and a lightning strike carbon fiber back spacer. 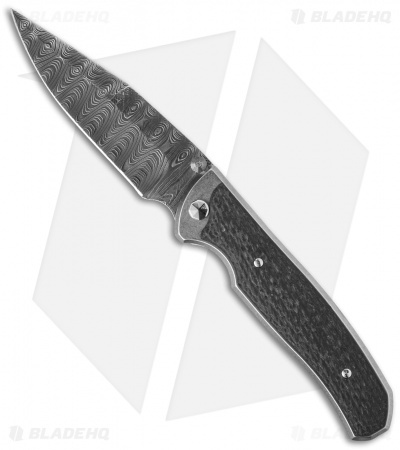 The swedged spear point blade is made of beautiful Damasteel. This dual action automatic knife is set up with a front scale release. The action is sweet and strong. 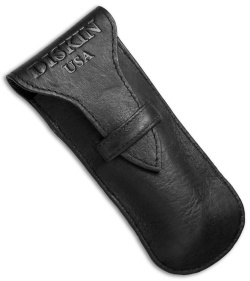 The Diskin D/A comes complete with a steel tip-up pocket clip.